What Can We Learn from the Birmingham Recycling Centre Tragedy? What Can We Learn from the Birmingham Recycling Centre Tragedy? What Can Health and Safety Experts Learn from the Collapse at Birmingham Recycling Centre? Home / Articles / What Can Health and Safety Experts Learn from the Collapse at Birmingham Recycling Centre? If there is any silver lining to be had after the tragedy at Hawkeswood Metal Recycling, it will be because businesses and health and safety experts now have a deeper appreciation of the seriousness of safety. On Thursday 7th July 2016, five workers were killed after a wall collapsed at a metal recycling centre in Birmingham. The event was terrible and it underpins more than ever the importance of safety inspection services, such as racking inspection services, and the safety experts that deliver them. We should hold racking inspections experts, and safety experts of all kind, to ever-higher standards. However, total safety of this kind requires cooperation between businesses racking inspection services. At Storage Equipment Experts, we provide a wide range of racking inspection services and our racking inspection expert is held to the highest possible standard in the UK. That is to say, he is a SEMA-approved racking inspector. Yet, even if we do aim for perfection, if businesses do not adhere to their legal obligation to have their pallet racking systems inspected at least once a year, then there is nothing else we can do to make sure that a tragedy won’t happen. This is just as true for racking inspection services as it is true for all safety services. Though we know that the metal recycling plant in Hawkeswood was fined £50,000 for breaching health and safety protocol in 2010, we don’t know what exactly led to the wall collapse this July. What we do know is that when businesses adhere to HSE law, they are a lot less likely to have workplace accidents and are immune from health and safety fines. After all, if you can prove in a court of law that you went over and above the HSE standard for safety, then you are in the clear, both legally speaking and in terms of your personal conscience. Following HSE law does not mean doing one thing once. It is a constant commitment that businesses have to genuinely believe in. Businesses are legally obliged to have their racking systems inspected at least once a year by a racking inspection expert. They are also required to have them inspected more than once in a year if the racking is noticeably damaged in some way. This too is a legal responsibility. That’s what is meant by a constant commitment. Genuinely believing in that commitment, though, is a different matter. Genuine belief in HSE law means adopting the ideas implicit and explicit in the law wholeheartedly, not just preaching to the choir. For example, alongside annual expert inspections from third party racking inspection companies, HSE also recommend that internal racking inspections from “suitably trained” staff are carried out on a regular basis using a traffic light system. In this particular instance, doing what HSE recommend means actually doing it; there are no corners to cut here. There won’t be anyone checking up on you and your staff, there won’t be any independent racking inspection companies watching from a distance, it will be just you, your employees, and your warehouse. For those racking inspections to do the good that they are meant to, business owners need to stress to their employees how sincerely important they feel those inspections are. If businesses don’t see the point in those internal racking inspections, then neither will their employees, and the whole thing becomes meaningless. Independent racking inspection services like Storage Equipment Experts are made up of passionate racking inspection experts who dedicate their entire careers to making workplaces safer. Racking inspection companies are not just there to correct mistakes and to help businesses tick legal boxes. At Storage Equipment Experts, we provide the best racking inspection training course in the UK in order to give employers and employees the confidence and the knowledge to make their warehouses safer. In the wake of the tragedy in Birmingham, many businesses across the UK will likely be looking for quick and easy ways to make their businesses safer. The harsh truth is that there are no quick and easy ways to make businesses safer. They are no cheats, no hacks, and no shortcuts. 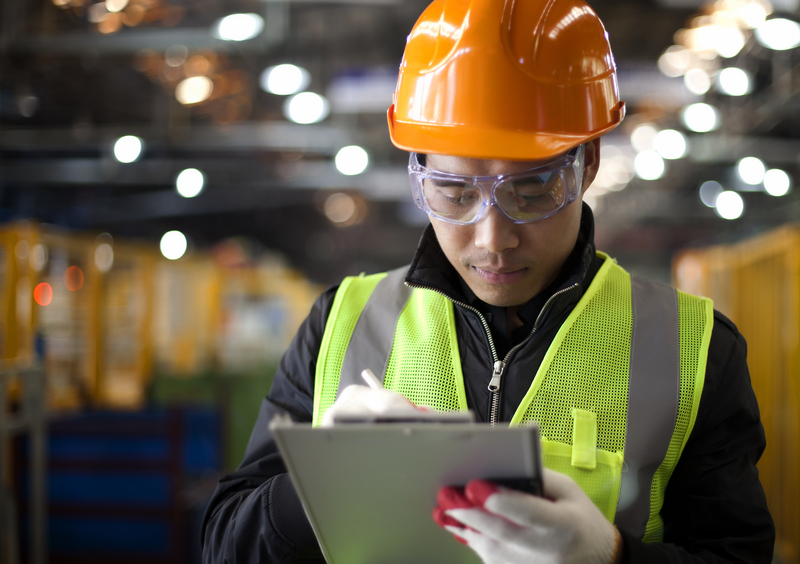 Businesses that want to be safer need to genuinely, consistently, and knowledgeably engage with HSE law by reaching out to racking inspection services, racking inspection experts, and other safety organisations. Businesses can never be too safe, and so contact Storage Equipment Experts today for racking inspection services from racking inspection experts.